A few weeks ago, CapableDad and I took off for a little photography adventure. 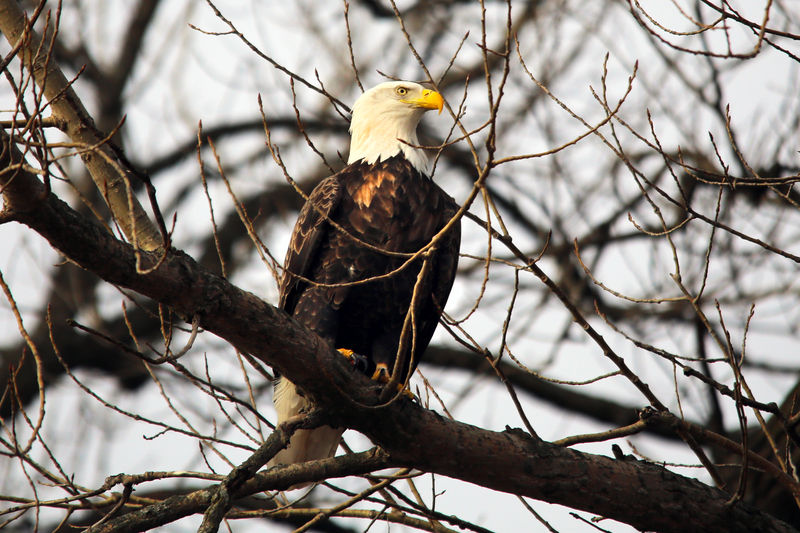 We drove a few hours west of where we live to a spot along the Mississippi River that is a well known location for shooting photos of eagles. 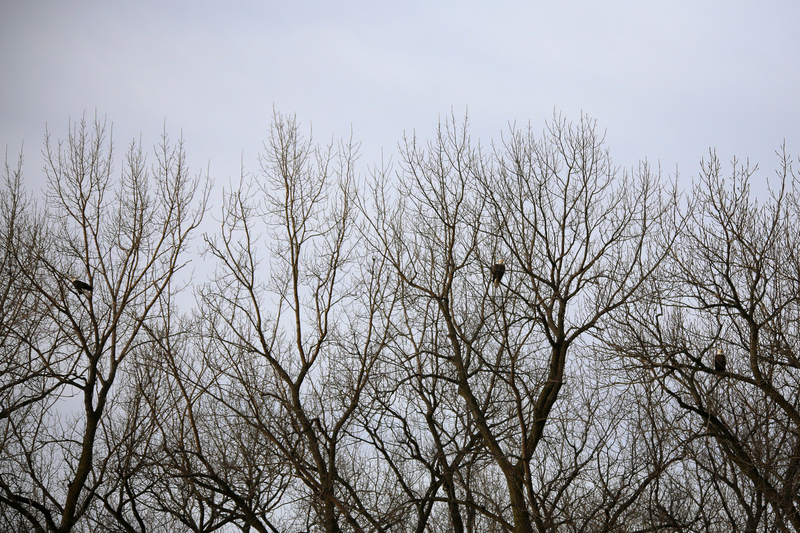 Although the eagle migration has been steadily declining in recent years, bird watchers can still see at least a few eagles nesting right next to the river. 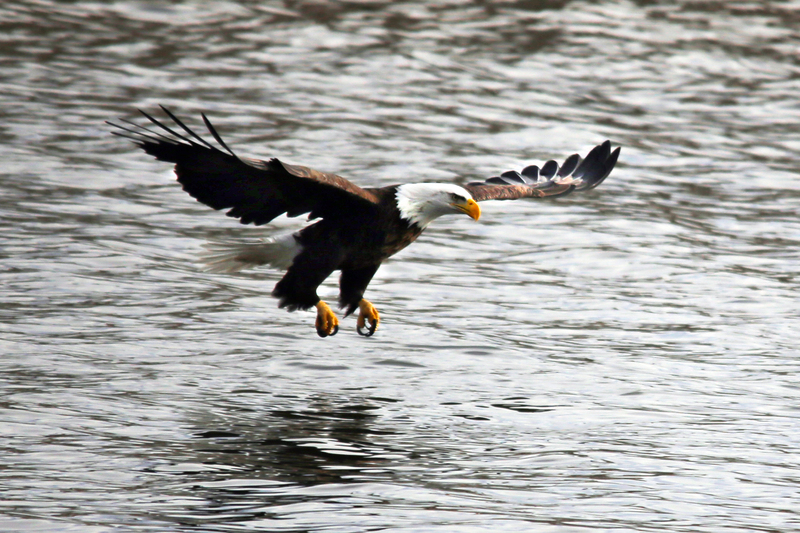 Photographers can get a close-up view of the eagles as they soar over a walkway and dive into the river to grab fish and take them back to the trees to feast. I imagined that we would have to hike down a path or trek through a forest to find such a magical spot that was home to the eagles. Instead, we drove into a large parking lot filled with cars. We couldn’t believe the crowd of photographers already lined up on the sidewalk, overlooking the river. I was intimidated before I even opened the car door. Under normal circumstances, I sometimes feel awkward pulling out my long 500 mm lens because it’s so obnoxious. Here, my largest lens was miniscule compared to the $10,000 telescopes these people had mounted to their cameras. I felt like I was invading a long-standing tradition, much like when I dare to drag my four kids on an early morning commuter train and wonder where I’m “allowed” to sit so I don’t disturb the regulars. We found a spot to set up my puny camera on my monopod. Everyone else mounted their massive lenses on high-end tripods with smooth rotating gimbals. I observed for a while to make sure I didn’t break any unwritten rules or get in anyone’s way. It seemed there were a few regulars who were in charge. They had a large cooler full of frozen fish. 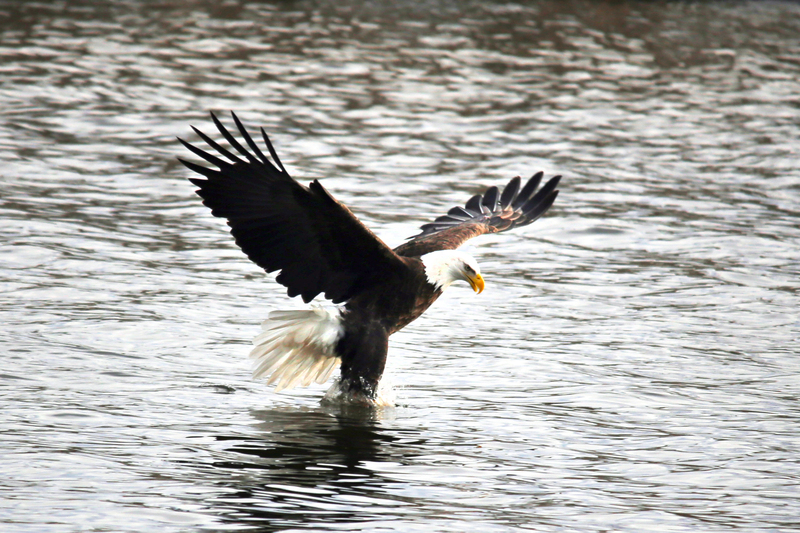 Every so often, they would toss a fish into the river, hoping to lure the eagles out of the trees. 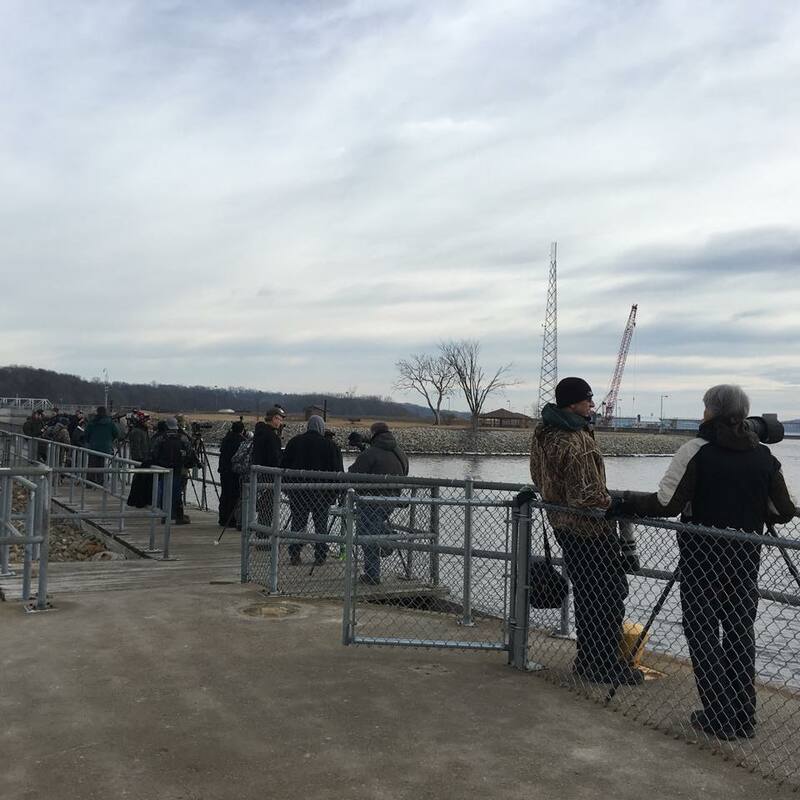 If an innocent person made the mistake of taking his or her dog for a walk on the shore directly across from the line of photographers, the boss man would shout at the person with instructions to immediately vacate the area. “You’ll scare the eagles!” he would yell, making it obvious they had no right to go for a walk in this particular park during prime eagle viewing season. All of the photographers would stay on the ready, not wanting to miss the moment when one, two or three eagles would soar across the sky. 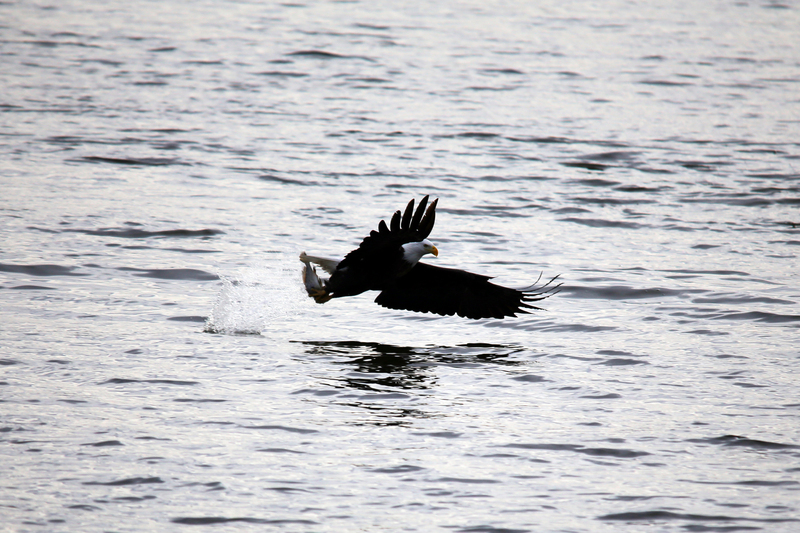 If we were lucky, we could catch that moment when an eagle scraped its claws under the water and scooped up a fish. As I stood there trying to fit in, I noticed how my expectations of this situation were affected by the people around me. It was a beautiful morning with the sun breaking through a sky full of rippled clouds. Sea gulls were soaring across the sky. Just 50 feet behind me, four eagles — FOUR EAGLES!!! — were sitting in the trees. And yet, most of the people stood there staring straight ahead. Waiting. Only a few cameras were clicking. Only a few people ventured over to the trees. 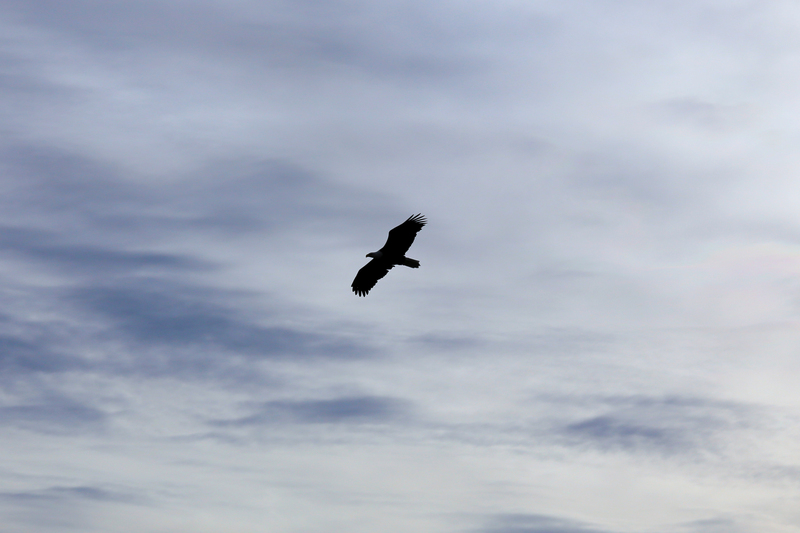 The rest stayed in position making small talk and waiting to see that graceful outline of an eagle’s wings. I kept reminding myself of everything around me that I would normally find beautiful. This place. This river. That bridge. The clouds. The sun. 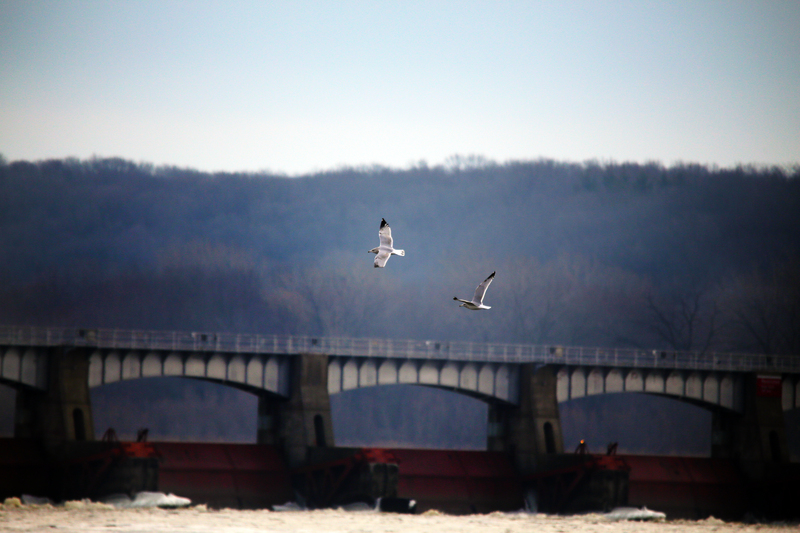 The sea gulls. The EAGLES SITTING IN A TREE so close to me that I could walk right up to the base of it and take as many photos as I liked without scaring them away! All of these things were so much more beautiful than what I would see on any other normal day. And yet, I kept falling into the same lull as everyone around me. What’s the point of taking a photo of all of those things when the eagles might come soaring by at any minute? When I could get a really good shot? When I could get the thing that I came here for? Isn’t that so much how we go through life? Our expectations of how something SHOULD be cloud our ability to see just how blessed we ALREADY are. We spend so much time waiting for what we think should happen, that we miss out on the precious moments right in front of us. 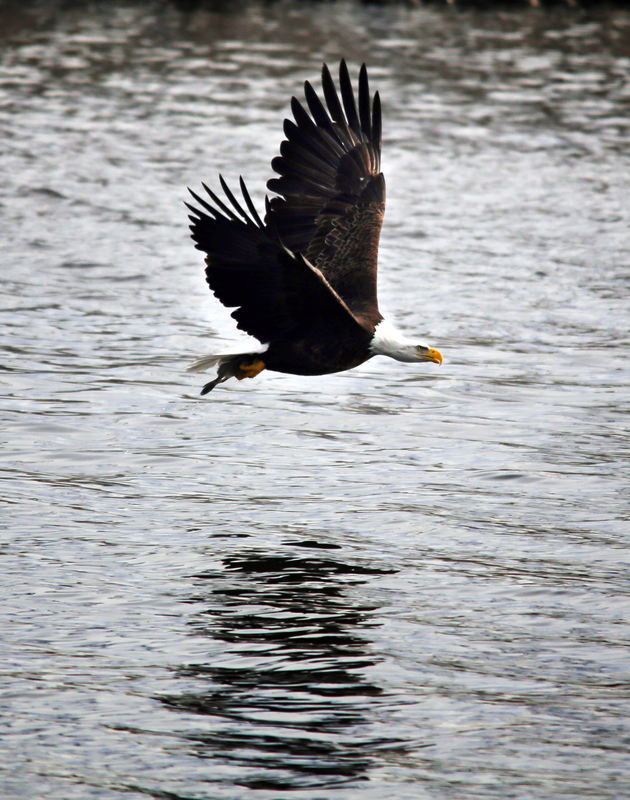 During our two hours of eagle watching, we only got to see the beauty of the eagles soaring over the water three times. 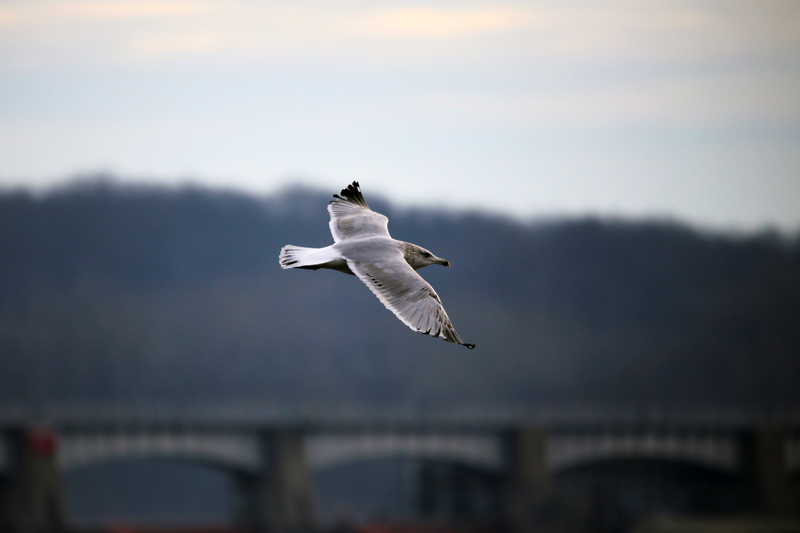 I realized that getting good photos of those magnificent birds as they dove across the water wasn’t a skill I could master in such a short amount of time. I only went home with a few eagle shots that were in focus. So, I suppose in the world of stellar eagle photography, you would call that trip a bust. But compared to any average day, it was an awe-inspiring and beautiful experience! We are enjoying your photos and write-ups. When do we get to see that Andrew play basketball. ?